Websites, social networks, also influence the revolution that the internet has brought to our daily routine. • In 2003: 0.8 devices connected to each person. • In 2010: 1.84 devices connected to each person (more than double in only seven years). The appearance of smartphones has been crucial to increasing the number of things that people connect every day. The websites, social networks, also influence the revolution that the internet has brought to our daily routine. These aspects, which today seem so normal, have paved the way to the Internet of Things. They give a foot to sectors that have wanted to add to the technological growth that the Big Data offers them. Automotive, healthcare or logistics have taken giant steps and led the manufacture of everyday “things” that connect with computers at the service of people. But, in the IoT, how does that connection occur? The objects with which people interact via the Internet have an assigned IP that sends information, data that they provide when using them, to a server. The way in which people relate to these data and benefit from them is to collect them. And the means to do it can be as simple as a Wi-Fi, a Bluetooth, an RFID or a QR code. Another example of this would be the way in which people interact with a SmartTV, uploading documents to the cloud, sending e-mails or publishing on social networks. When things connected to the internet talk to themselves, without the intervention of people, it is referred to as Machine to Machine or M2M system. Thanks to the fingerprint we leave with our phones, it is possible that the machines connect to each other. In this way, the Internet of Things improves our lives. The example that best represents this case is that of the Smart Cities. With the data that people share every day, the city councils can foresee jams, regulate the traffic or manage the queues of the public administration. Interesting, right? What is the potential of the Internet of Things? Many of the everyday objects with which people have lived together with have now come alive; smartphones, refrigerators, TV, cars, etc., that is, home automation in general. The IoT offers people an individual tour for each one. It allows people to personalize those devices, things or everyday objects so that it can give them the use that they are interested in. 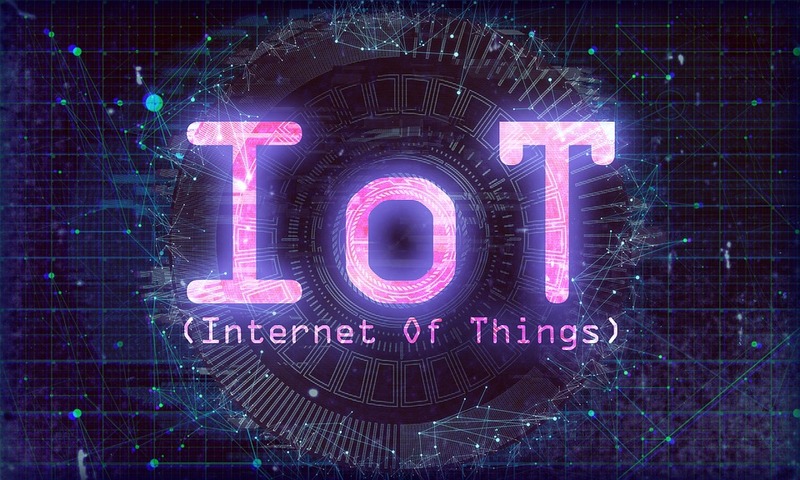 The Internet of Things allows an exclusive and personalized use of the everyday devices that people use and that are connected to the Internet. Currently, there is talk that only 1% of the things people interact with on a daily basis are connected to the internet. Can you imagine a world in which 100% of your interactions were digital? Because the internet of things allows us to personalize the product as users, as a brand, we can differentiate ourselves from the competition. The technological advance gives access to incorporate in our products the novel and current details that make possible our positioning as leaders of the sector in which we are present. We can process the data offered by the devices connected to the internet, with them, we have the privilege of anticipating the needs of users and win new customers. As a consequence, applying a cost reduction is at our fingertips, since the efforts in the improvement of our products are aligned with the real needs of our target. Now, look at the number of objects that surround us, for example at home: refrigerator, TV, washing machine, alarm, heating regulator and air conditioning. Do you imagine them all connected to you and each other? By 2020 this figure of connected devices is expected to increase to 22 billion, and by 2030 it is estimated that 30 billion objects will be connected to the internet. What do you think of the figures? Do you see them as possible or do the experts fall short? Everything that is connected to the internet is vulnerable to being hacked. Therefore, the IoT opens an extensive field of technological devices exposed to cyber attacks. The Internet of things brings us many advantages, as we are seeing, but it also carries risks. Are we prepared to preserve the security of an avalanche of devices connected to the Internet? Can you imagine the repercussions and gravity of a cyber attack on a hospital database? App Development Companies must review their security protocols. New professional profiles are required that adjust to the demands of the cybernetic openness of the Internet of things. Increase the connectivity capacity of the serve. Perhaps these three routes also require a change in the use of information, for example, enhancing Cloud Computing. The use of our smartphones or PCs leaves a trail of activity. The connection of our appliances or our servers generates some records that make us exposed to hackers. Some of these risks are known, and we have even suffered, others are even to invent. Phishing: identity theft or impersonation. Attacks DDos: denial of services. The Internet of Things has been a trend in previous years and will be the ones that come. And with it, hand in hand, also cybersecurity. Efforts must be invested in it so that it is understood in the process of continuous improvement. This is because we cannot afford the luxury of the first advance faster than the second. How do you conceive of living in a house technologically evolved and digitally transformed outside of an environment that is not reciprocal? Has no sense. This is where the concept of Smart City appears within the global idea of the Internet of Things. Transportation: making them more efficient and less polluting. Health: avoiding waiting in hospitals and optimizing the prevention of diseases. What we can expect as citizens of such a space are sustainability, low pollution, efficiency and that digitization is at the service of people to make our lives better. A great example is the already approved Paris Smart City 2050 project. It is the first European city to design an area in which they plan to build bioclimatic buildings. It intends to reduce greenhouse gas emissions by up to 75%. The DataLong 16 is a clear example of how the Internet of things can be applied to logistics, improving the transport of food or health products. It is a small device, a datalogger, which can offer, in real time, the temperature of the product transported and its location. The monitoring of the data sent via the Internet allows controlling, for example, the temperature of pharmaceutical products that require the preservation of the cold chain to avoid deterioration. In the field of food, the DL16 is essential to keep food fresh for human consumption during the logistics chain. One of the challenges of the Internet of Things in the area of health is to seek better strategic solutions to cope with chronic diseases. Apple’s smart watch is being used or to be used by the most vulnerable patients, so that they are always controlled by their caregivers. Feedback occurs in which the watch emits alarms, reminders or advice to the patient, related to the habits that the patient must acquire. lives of these people. Not only is there the participation of the Apple Watch. for cardiovascular diseases or even Parkinson’s.